Keep calm and carry a wand. I ended up going home for my birthday this year. A relaxing night with the parents was just what I needed. 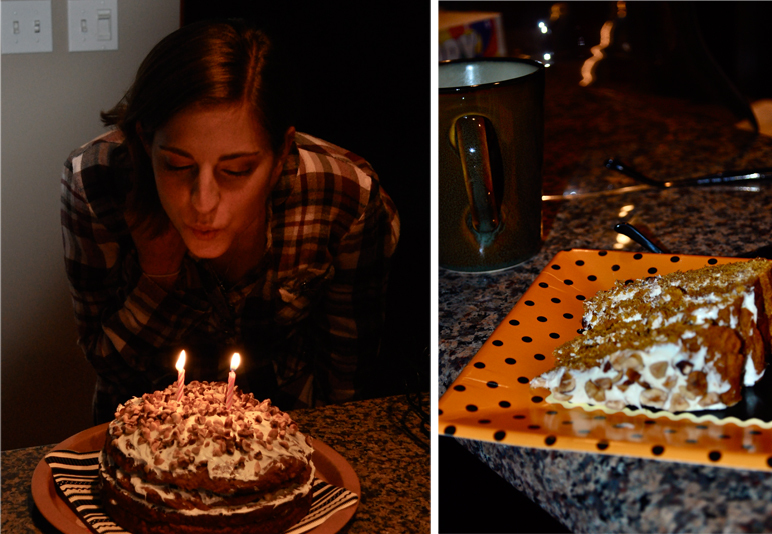 Pumpkin Spice Cake, courtesy of my talented mother. Here's to hoping my wish comes true! Back in Austin on Saturday and ready to party. 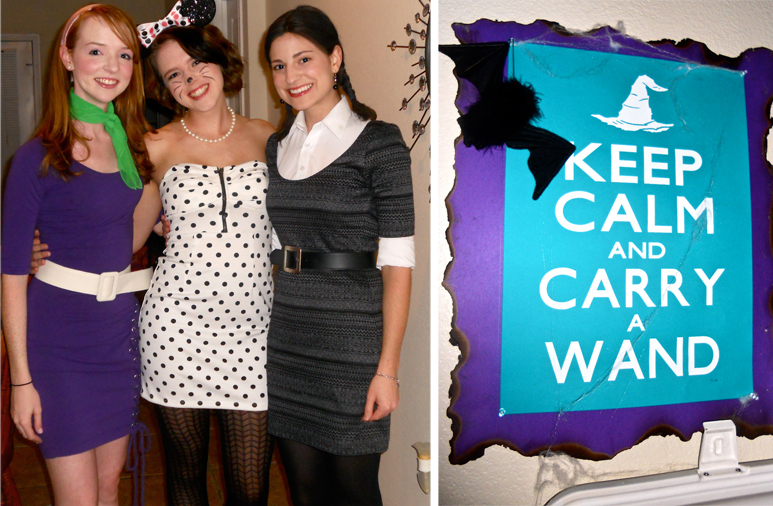 Enter Daphne Blake, Minnie Mouse, & a smiley Wednesday Addams. Lucas and Kirby dressed up as Keith Stone and Fred Jones. I don't think my friends could get any cuter. Such fun, such fun. Now, on to some last minute homework.